How well you take care of your new semi-permanent makeup Brows over the next 7 days will ultimately determine its healing, colour retention. Final appearance and longevity. Cleanse the brows with baby shampoo in a gentle circular motion 30 mins after your procedure. This will remove all the lymph and previously applied cream. For the first 7 days continue cleansing either morning or night. Once or twice a day depending on what your technician recommends based on your skin type. Rinse with lukewarm water and pat gently to dry. Apply aftercare cream provided to you by your technician once or twice a day with a clean q-tip. Do not overuse aftercare cream. Only apply a small amount to lightly cover brows. Do not wash your hair for the first 48 hours. You may experience some swelling that can be managed with soft gel ice packs. Place gel packs in a plastic bag before applying to protect the microbladed area from any moisture. The following day your brows may appear darker or show some redness. This is normal as the brows enter natural healing process the color will fade throughout the next 7 days. As the skin starts the natural healing process you may experience some flaking and/or scabbing. Picking or peeling any flakes or scabs can cause loss of implanted pigment and scarring. Refrain from touching the microbladed area except for when applying aftercare cream and with very gentle washing. –take precautions to protect good linens and towels.- Remember to dry in gentle patting motion. Pools, Jacuzzis, tanning, excessive sweating, facials and saunas, makeup on the area should also be avoided for a period of at least 10 days or until brow area is fully healed. Skin creams and products containing Retin- A, AHA or any kind of skin peel must not be used directly on the microbladed/tattooed area as they will fade and possibly distort the color. Sun block should always be applied to the healed microbladed area (after 7 days) When washing your face refrain from using soaps and creams on the treated area unless what is specified by your technician. When showering avoide putting your face directly in the shower head stream. Your touch-up appointment should be done 4 weeks after your initial application. This allows your technician to reshape or augment any areas that are needed. A touch-up is necessary to complete the Microblading and or Ombré Powder Brow procedure. This is a custom built brow and you may require several touch-ups to ensure the skin retains the pigment and you achieve the desired look. The color immediately after the treatment will appear very sharp and dark and will soften and fade considerably as the healing process concludes. Your new brows will be complete and you can expect to see your final appearance at least 3-4 weeks after your final touch-up visit. 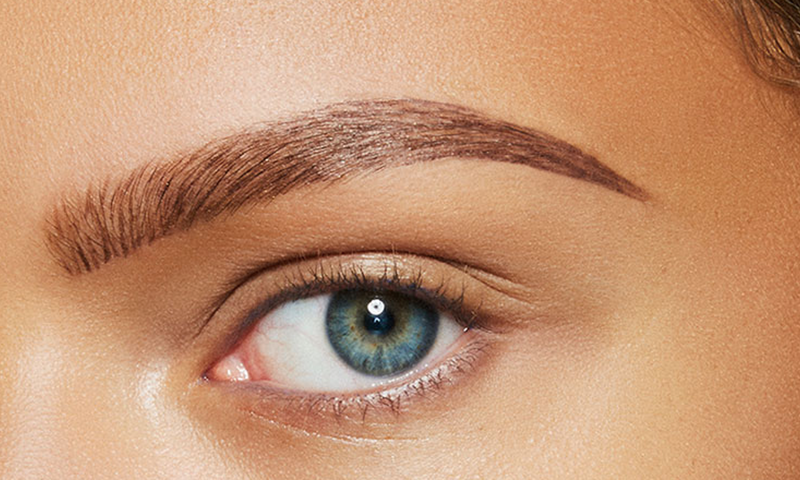 The aftercare of your recently microbladed brows are crucial to good results. Please be careful and diligent in following these Aftercare instructions. Also, keep in mind the color and thickness of the brows will change in the course of 4 weeks. Be patient with the healing process and take good care of your brows for the best results!